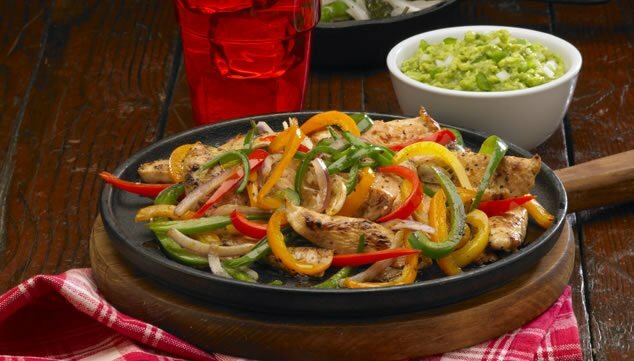 Spray a skillet with canola oil spray, add the peppers, onion, garlic and chili. Leave them in the skillet until onion is translucent; add the chicken, soy sauce and Worcestershire sauce. Leave the pan on fire (stirring constantly) until chicken is cooked; add the lemon juice, reduce heat by half and let it evaporeel liquid (1 min). Sprinkle with cilantro and oregano; if necessary, correcting pimeinta flavor and black. Warms tortiollas on a griddle and have them ready before serving. Arrange on a serving platter, so no one can resist immediately test.